Brasport Group has assigned its Research & Development centre the triple mission to develop innovative procedures, create innovative products… and make its closely-guarded expertise a clear advantage in the competition for domestic and international trade. The R&D division imagines, invents, fine-tunes and tests solutions, whether to optimise production or stay ahead of changing requirements. Each of these solutions is put through its paces to guarantee performance of the utmost effectiveness. This quest for perfection applies across the board, from the most legendary products to the latest state-of-the-art innovations. Advances in technology have naturally motivated the holding company to branch out and develop new competencies alongside its expertise in leather, all within its “native” environment of watchmaking: 3D simulations, machining of fully-finished prototypes for individual models and small series, specialist tool production, making matrixes and moulds, manufacturing external parts for watches, and strap inserts. The team at the R&D centre also monitors developments in the field and fosters interaction between partners, clients and regulatory bodies. 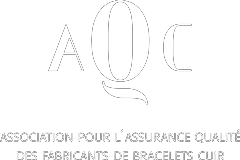 In fact Brasport Group is one of the founders of Association for l’AQC – l’Association pour l’assurance qualité des fabricants de bracelets de cuir, a leading organisation in the quality control of leather straps. An association of leather strap manufacturers and suppliers to the watch industry, its mission is to create an environment which demonstrates complete command of the leather strap supply chain. By putting itself in the front line, Brasport Group makes clear its determination to preserve exceptional expertise and, more importantly, guarantee a completely safe and secure product for the end user.